Are Yoga Props Just for the Beginners? When you first venture into the world of yoga classes and online tutorials, you likely discovered that you needed a variety of props to move your body into position. 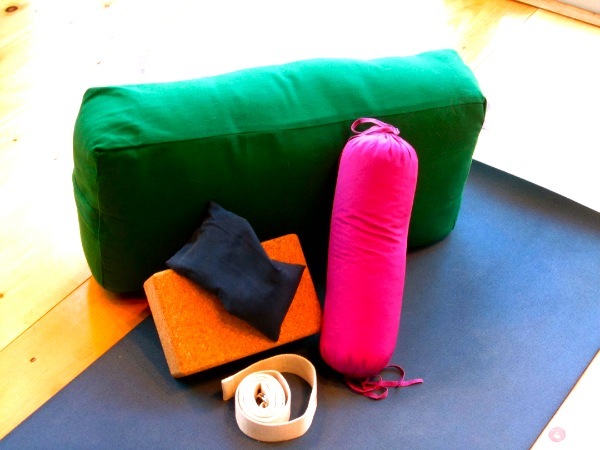 Purple foam blocks, rubbery straps, and bolsters may have lined your yoga space. It was nearly impossible to consider practicing without these essential items while your body adjusted to a new asana. Somewhere along the way, many yogis attempt to leave these props behind them. They believe that the props are the hallmark of a beginner and have no place in a seasoned practice. What once felt foreign and uncomfortable now becomes second nature. They may mistakenly believe that they don’t need these props to help them move deeper into their practice. 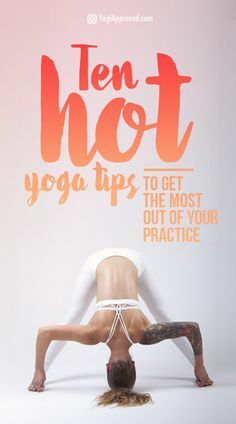 Props shouldn’t be just for the beginner yogi though. These aids are amazing tools to help prevent accidental injury from misalignment in a particular asana. Over time, your focus may shift onto moving deeper into the posture instead of on your alignment. Your body may not be quite prepared to stretch or bend that way. The truth is that your body may never be able to move in a certain way. As yogis, we must learn to accept our body’s limitations and embrace our unique form. This means that we will inherently have limits imposed on our practice by the shape, size, and construction of our bodies. This isn’t something that you should be ashamed of during a yoga class. Instead, you need to learn to embrace your shortcomings in the ultimate form of self-love. Instead of forcing your body into the asana, a yoga prop can help you to challenge the limits gracefully. You can focus more on proper alignment and breathing in a much safer practice using these props. Sometimes, your body may simply be feeling tired during your yoga practice. It may be unwise to push the bounds of your physical limits. Listen to what your body is saying to you and choose to use the yoga props available to you instead. This is a great way to nourish your physical body and honor yourself through the sacred practice of yoga. They can also be excellent tools to assist you in learning a new posture. Consider how difficult it can be to try a new arm balance or inversion for the first time. Yogis are sometimes tempted to try difficult poses without the props to demonstrate their natural ability or flexibility. This sets them up to form bad habits when it comes to their alignment in the posture. It is far better to use the props and become accustomed to the yoga pose properly. This can prevent long-term problems that can cause serious damages to your body over time. In the end, yoga props should be made accessible for yogis of all levels and experiences. They can help you to develop a safer practice that honors your physical body to a much greater degree. You may want to consider adding a few yoga props into your routine this week. author March 14, 2019 . No Comments on Are Yoga Props Just for the Beginners?. Categories: Uncategorized. Our breath is indispensable to us. It is a constant, something that is present all the time in our body. 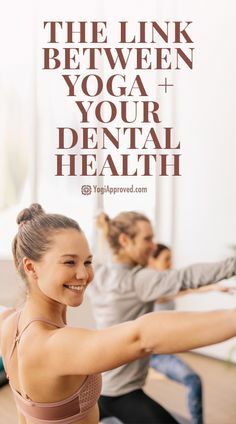 It is also a part of the body’s daily functions, which we tend to overlook, much like the fact that our digestive system digest everything we eat and drink. Our breathing has a very technical function in the body but, at the same time, it has a soothing effect on our whole body and mind. It is the soothing and relaxing effects of the breath that we can use to our advantage in our yoga practice. Part of the yoga practice is the use of breathing both in poses where we stay still for some time and in the exercises where we move from one pose to another. Make sure to wear comfy leggings so your practice can be more enjoyable. 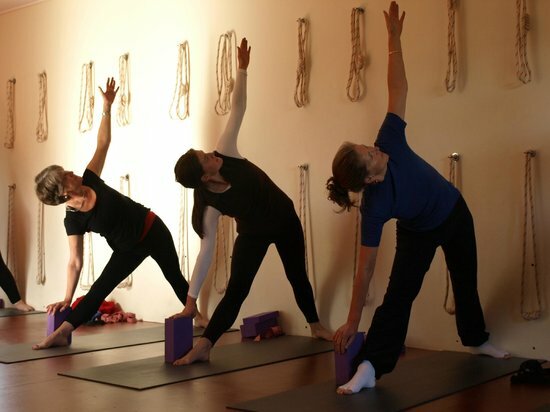 With dynamic movements like vinyasa flows or the sun salutation, we use the breathing in a deliberate way. Deciding where the breath goes in a movement doesn’t only tell us how to breathe, it also makes sure that we breathe. It’s an important part of the practice and essential for the body. When we stay in poses for a longer time, up to as much as five minutes or more, we tend to forget about breathing techniques. Yet every inhalation and exhalation is essential. It can help us to relax and stay in the pose for a longer time before we get that strong urge to come back out. There are two very good ways to use the breath in yoga poses. The first method is to go into the pose, making sure you have found a good position where you can sit still. Staying still is a crucial part of development when staying in the poses. Once you have settled in the pose feel your breathing or follow the movements of your breathing. 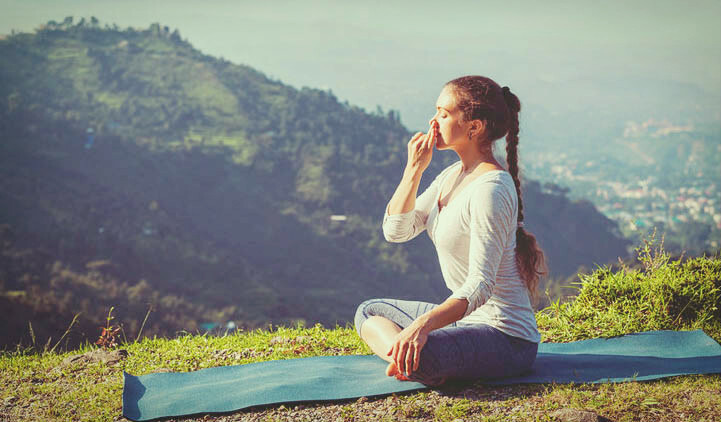 Following or feeling your every inhalation and exhalation does not only take your attention away from the discomfort of the pose, but it also helps you to relax in the pose. 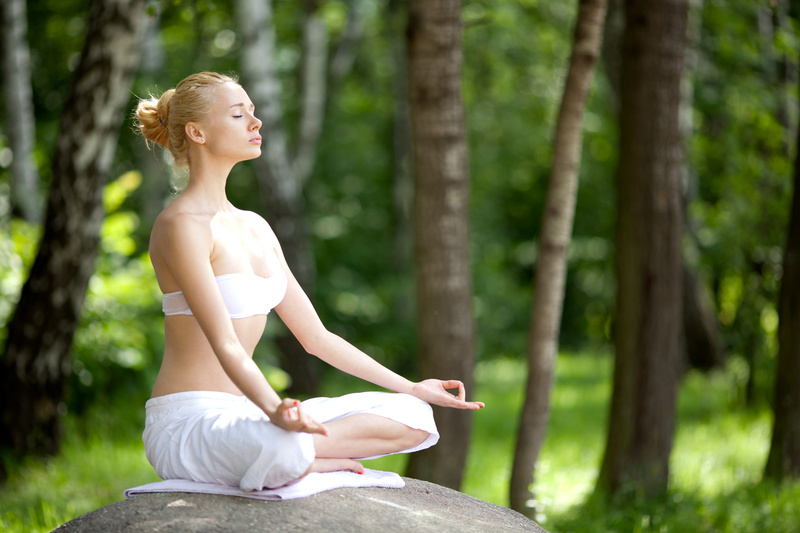 The second method for using your breath to help you is to let go with every exhalation. Your focus will be on letting go every time you exhale and you can probably feel the physical effect after a little time in the pose. Both techniques are relatively easy but at the same time quite complex. The complexity comes from the restless ways of the mind. When staying for a longer time in the pose you might find that other thoughts come into your mind, either taking your attention away from your breathing or next to your breathing. The moment you realize that your attention is elsewhere, gently lead it back to your breathing. The practice of letting your breathing technique become your sole focus of attention is something you can practice over and over, regardless of the level you are at. In other words, don’t worry if it seems like your mind goes everywhere after staying with the way you breathe for a short moment – that is perfectly natural. Even the most experienced feels that at times. author December 1, 2018 . No Comments on Breathing Deeper into the Pose. Categories: Uncategorized. As we have been moving on with bringing our chakras back into balance we have re-discovered the magic that these different wheels of energy can provide us once we consciously decide to begin paying attention to their inherent wisdom. We have learned from the first root chakra to declare our right to have, from the second sacral chakra to affirm our right to feel; and the navel chakra has reminded us about our right to ask. 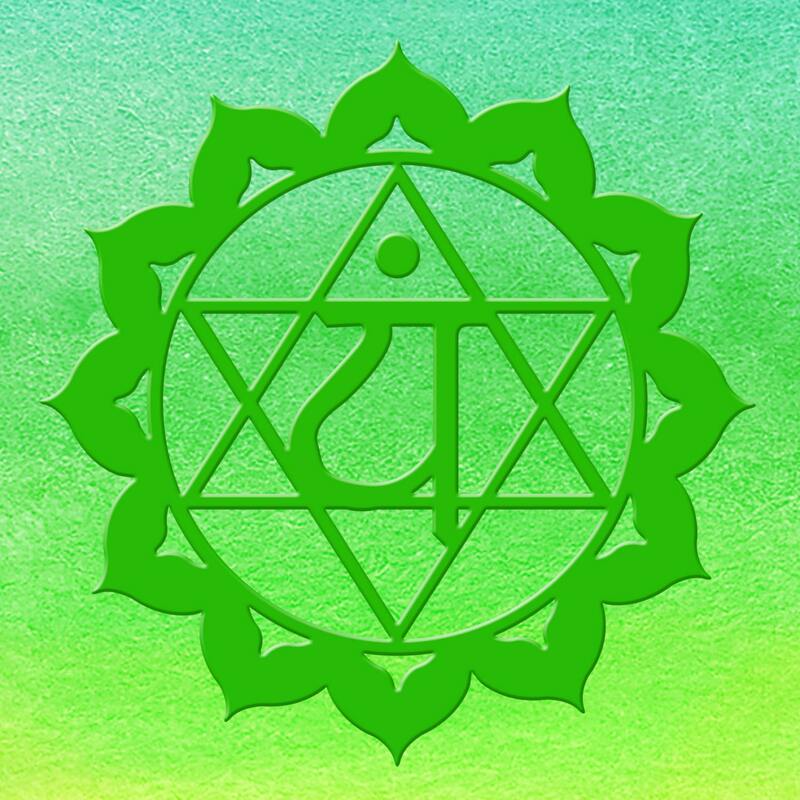 Now, the succeeding Anahata chakra comes to encourage us to assert our right to love; as we open ourselves to allow one of the universe’s greater forces into our lives. Anahata can be found right in the center of the heart, therefore encompassing the heart, cardiac plexus, breasts, lungs, and thymus gland; forming the midpoint of all seven chakras. Its Sanskrit word stands for “unhurt,” “unbeaten,” or “unstruck,” calling for the existence of a place full of unrestricted purity and grace underneath all the noise of hardship and sorrow. When this disk of energy is in balance we feel unconditional compassion, acceptance, and forgiveness towards ourselves and others; perceiving love not exactly as an emotion that comes and goes revolving the person or people who seem to be deserving of it, but rather as a vibe that tunes in with every being, circumstance, or thing that surrounds us. When this chakra is out of balance however, we tend to feel anger, fear of others, jealousy, and at times even hatred. Some of the expressions of a misaligned Anahata chakra may be high blood pressure, circulatory problems, or heart diseases in the physical plane and co-dependency, possessiveness, jealousy, the need for manipulating or constant negative thinking in the mind and emotional planes. Using the mantra of compassion, Om Mani Padme Hum, while meditating, can be of help for expanding love and compassion to both ourselves as well as to other sentient beings; while we learn to finally see that love is not something external to us, but rather a permanent jewel within our own that cannot be taken away (ever) by anything or anyone. It will be until we realize this wisdom that we will finally be able to give our entire and purest love to us and others. Other tools that you may want to consider for when working towards aligning the love chakra is its corresponding sound “Yum,” its color green; gemstones such as emerald, rose quartz, malachite, and jade that you can place on the chakra’s region while lying down, also using essential oils like jasmine, cypress, tangerine and bergamot, and eating leafy and airy vegetables, green herbs, and spices or foods that benefit the heart and circulation. author May 8, 2018 . No Comments on Anahata: Bringing Balance to the Fourth Chakra. Categories: Uncategorized. Of all the yoga trends that are out there, Alien yoga might just be the strangest one of all. Images of practitioners of Alien yoga can be found on many websites and when you first see it, you can be forgiven for thinking that it’s just another strange and stupid fad. But Alien yoga has its devoted followers, and they claim that this form of yoga has important benefits for anyone who is willing to work to achieve it. Here, we find out exactly what Alien yoga is and whether it’s worth adding to your yoga practice. Alien yoga is a yoga move called Nauli during which the practitioner exhales completely before tensing the muscles of the abdomen and pulling it under the ribcage. When performed correctly, the move results in a very distinctive look where the stomach caves in on both sides, leaving a ridge running up the center of the abdomen. The practitioner then contracts the stomach muscles, making the area pulse in and out. 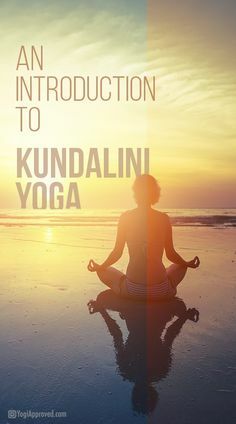 Nauli is a traditional yoga move that originates from Hatha Yoga, which refers basically to any yoga practice that teaches physical postures. The movement is not typically taught in most yoga classes these days, but it was once the first movement taught to new students to increase their control and awareness of this pivotal area of the body. Practitioners are said to have been performing this movement for several hundred years. Because of the unique movements of the abdomen required in Nauli, it is said to massage internal organs, work all the muscles in the abdomen and sides, and aid digestion. The movement is also said to improve emotional stability, increase willpower, and benefit the internal organs. This movement can be difficult and requires powerful muscular movements, so it’s best taught by a qualified professional. However, there are a lot of videos out there showing yoga practitioners how to achieve it. 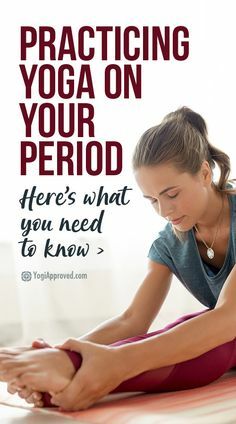 Basically, it involves exhaling all the air in the lungs, contracting the stomach up under the ribcage, and then contracting and releasing the stomach muscles in a wavelike motion that looks very distinctive and feels quite strange the first time you try it. Although Alien yoga looks strange, it’s a safe movement. It can be taught to yoga practitioners at any age, but this should be done by a qualified professional. The movement should not be attempted by anyone who is pregnant, has a hernia, or heart problems. There are a great many interesting trends that have found popularity in yoga culture as the practice adapts to the needs and concerns of its practitioners. The popularity of Alien yoga reflects concerns about core strength and toning, and its unusual appearance adds an element of surprise to yoga selfies and other public images of practitioners. Because it is a safe movement, it is well worth asking your yoga teacher about and perhaps adding it to your regular practice. author February 27, 2018 . No Comments on What is Alien Yoga?. Categories: Uncategorized. Refueling after any sort of workout is incredibly important. Often I think people get so wrapped up in trying to lose weight or in looking at food as the enemy, that they forget that the whole purpose of food is to fuel our bodies. It’s not so much the quantity you’re eating as opposed to WHAT you’re putting into your body. Yes the key to losing weight is exerting more than you take in, but your body still needs ample calories to recuperate. I definitely need help in this area as it’s way easier to munch on a bag of chips than try to make something after a tough workout. Hot Yoga gets me every time because I’m usually so exhausted by the end that I really don’t feel like doing anything! 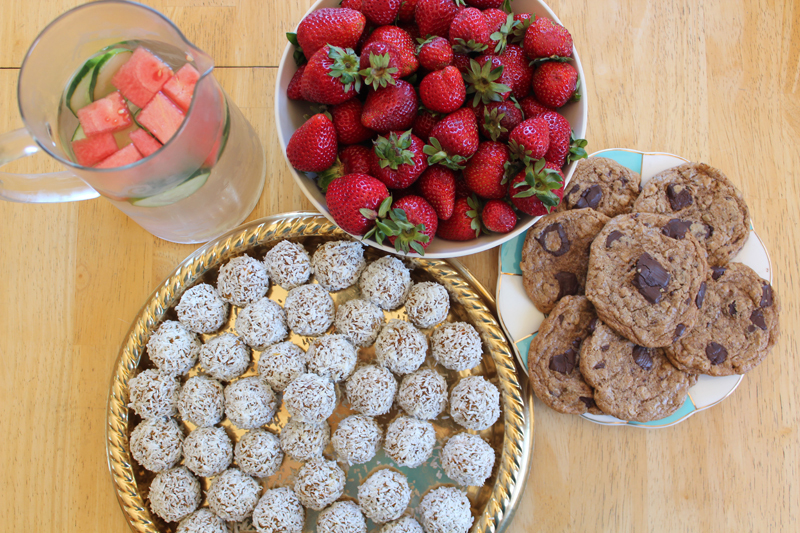 Here are some easy snacks to have on hand to refuel your body after a tough work out like Hot Yoga. This can be adapted to fit your dietary restrictions and taste preferences. 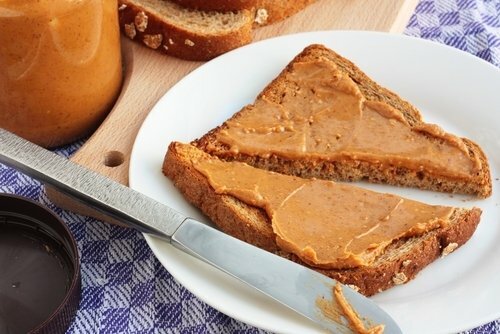 Any sort of nut butter with a healthy carb is a great refueling snack because the whole grain bread will fill you up with fiber along with the protein from the peanut butter. It’s even believed that this combination is healthier than eating cereal, for example. Take a look at this video for more info. 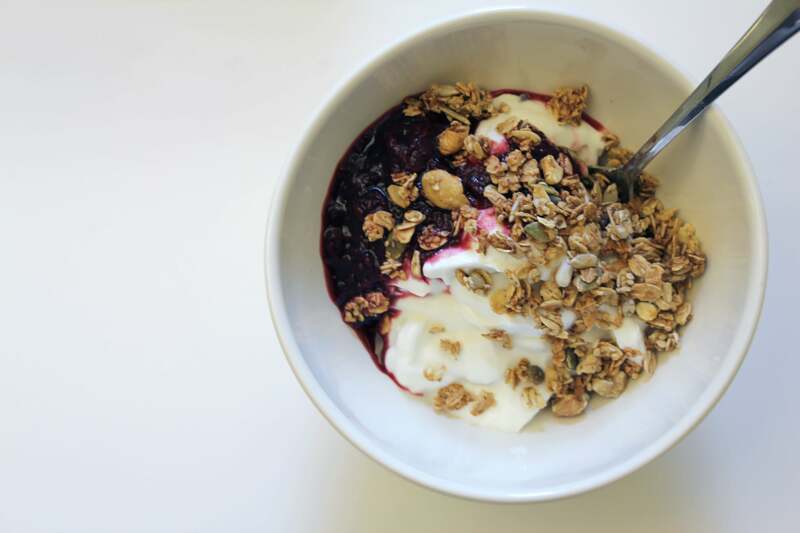 Greek yogurt is a great source of protein which will help you to rebuild muscle and fill you back, plus, the granola will add fiber to help you with digestion. Personally I like to add a little honey to this snack to add some extra sweetness. Hummus is made with simple ingredients that pack a lot of protein. It is fairly high in fat, but they are the healthier unsaturated fats. 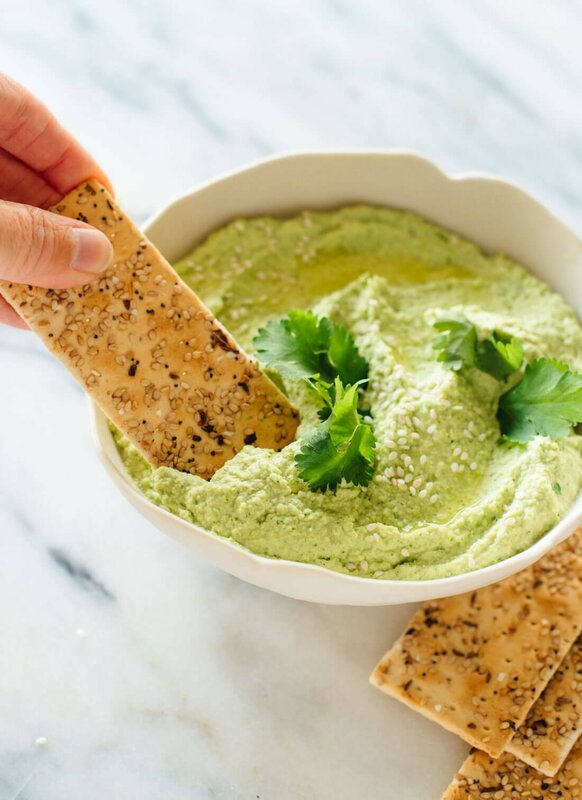 Veggies are always a good snack idea because of their nutritional value, and a cracker like a nut thin or other grain cracker will help to fill you up with fiber which will also help with digestion. Check out this list to find out about other high-protein foods! A green smoothie is a great way to refuel after practice. I like to make mine with frozen tropical fruit, spinach, and a couple of bananas. The bananas especially will help you replace electrolytes in your body after a tough hot yoga session! If you add a little Greek yogurt to your smoothie this will also provide protein to help you refuel. Water is so important after a hot yoga workout. Your body sweats out so much you’ll want to make sure to keep hydrated both during and after class! Hot Yoga is a fun way to get your body moving and sweating, and a great way to lose weight or stay in shape. However, the purpose is still to connect to your inner self and accept yourself for who you are and where you’re at in your practice on that day. Show your body some love by re-fueling it with something healthy so it can get stronger! Try to focus more on what you’re putting in your body rather than how much! I hope this post helps spark some ideas for you and encourages you on your health journey! author December 18, 2017 . No Comments on Best Post Hot Yoga Snacks. Categories: Uncategorized.